If you’re in the market for a new RV or are considering purchasing one for your family as a Christmas present, but don’t want to spend a ton of money, you might be wondering what your options are. here’s the good news. 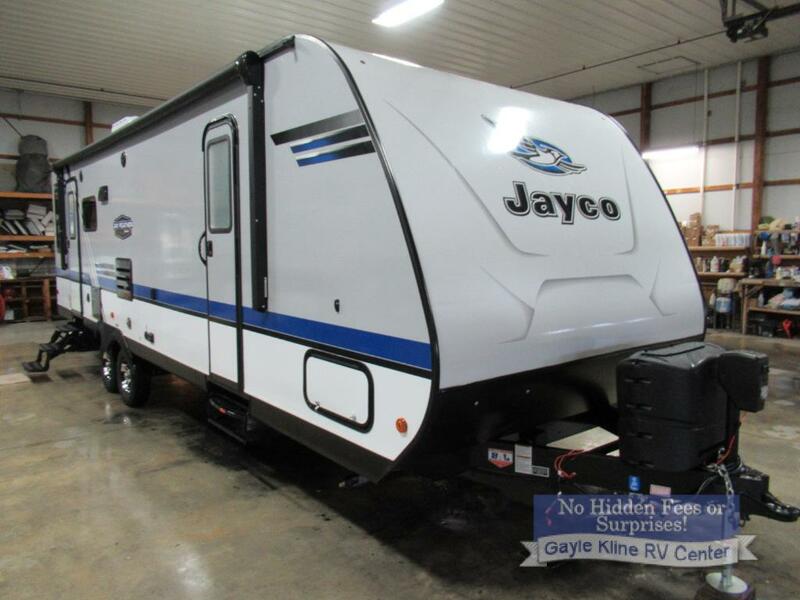 Here at Gayle Kline RV we are proud to offer families a large selection of RVs under $30,000. 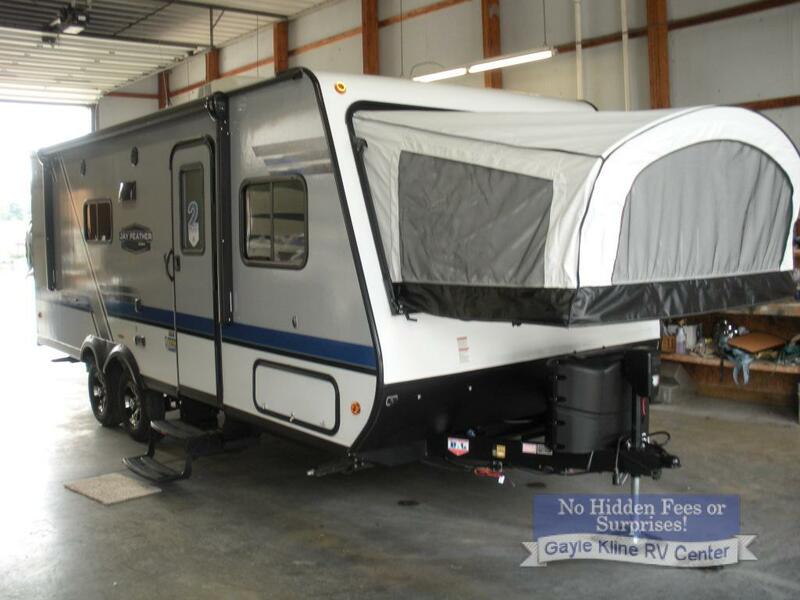 Whether you’re looking for a travel trailer or an expandable, a large bedroom or one that’s more modest, we are sure to have something for you. Ideal for really large families or large groups, this travel trailer sleeps up to 9 people! In addition to the rear bunks, you’ll love how the rear bathroom is accessible from the outside of the RV and the inside. This makes it easy for the kids to come in and out without actually tracking dirt into the unit. The large front bedroom offers tons of storage and attractive decor, while the huge slide expands the space when you’re parked. With space for up to 6 people, the lightweight Jay Feather 27RL offers a lovely rear living room arrangement that includes a large slide to expand the space when parked. You’ll love how the front bedroom comfortably connects to the bathroom without every having to step into the public living area. This RV is available for $25,841. Although this expandable is lightweight and priced at an extremely reasonable $22,402, it actually offers tons of amenities. This includes space for up to 7 people. It’s a great option for large families or those who plan to travel with friends. If you’re looking to move out of tent camping an into an RV and need something for the entire family, this is the one for you. It also offers a slide with a sofa and overhead storage and a corner bathroom with a shower. 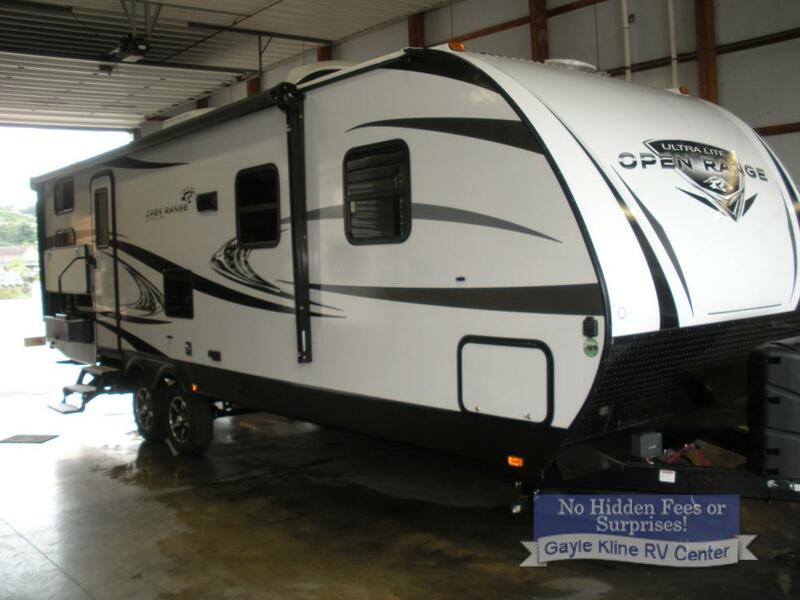 If you’re interested in learning more about our selection of RVs for sale under $30,000, contact us. We will help you find the best brand and floorpan for your needs and answer any questions you have.